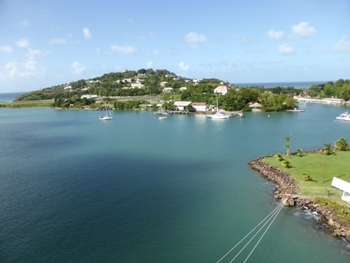 Although we had been to most of the islands on this cruise, being in the Caribbean in January is great and Castries, St. Lucia was a wonderful place to spend a winter day. 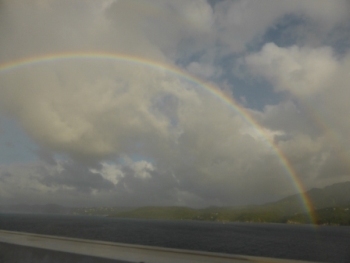 As we cruised south out of the harbor toward the Pitons (two volcanic mountains), we ran into a light rain shower and out popped a colorful double rainbow. 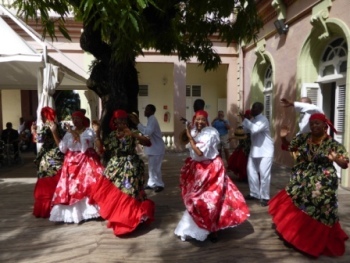 It was Saturday in Bridgetown, Barbados and the locals were enjoying their day off with a dance. 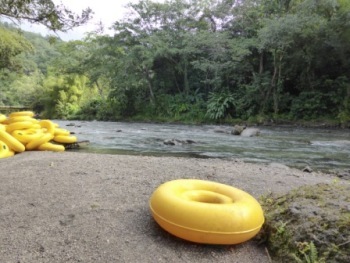 The island of Dominica was new for us, so we joined a group for a fun day of tubing down the Layou River. 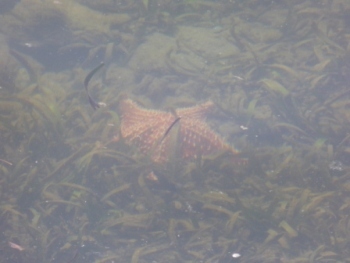 As we walked into Samana, Dominican Republic; we could see huge star fish lying in the water next to the shore. 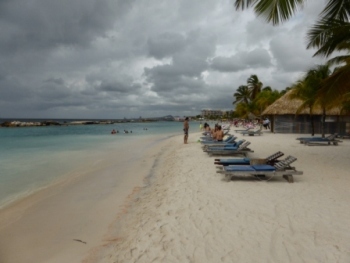 An easy way to spend the day in Willemstad, Curaçao was to snorkel and lie on the beautiful white sand near the Sea Aquarium.